Well, the 163 in both directions is heavy. So is the 5 North and South and the 805. Looks like everybody is leaving work early to avoid the rain that San Diegans are expecting tonight. Yup. It's true. Southern Californians leave work early when rain is expected. OK bloggers from Seattle, go ahead and laugh. We deserve it. For the record, I have never left early because of rain. I mean what kind of a New Englander would I be? And what would my dad think of me? I guess Southern Californians don't really know any better. Why should they? It hardly ever rains here, and when it does, it wreaks havoc. No, I'm not talking about flooding and mudslides. I'm talking about traffic. You can see a half dozen accidents on one commute and get stuck in a traffic jam that lasts hours. Seriously, it was easier to get home after the blizzard of '78 than it is to get home after a "heavy rain shower" here in SoCal. So I avoided the madness by doing what any good blogger would do: I went home and baked a cake. Isn't there something so comforting about the aroma of baking wafting through the house as the rain patters gently against the windows? One of my favorites is my mom's Upside-Down Pineapple Cake, which was her mother's original recipe that is close to 70 years old! I will post the original in the fall, but today I wanted something that celebrated spring. With a gorgeous bowl of tart cherries and some sweet fresh peaches smiling at me, I found my inspiration. I added some freshly squeezed orange juice and zest which compliments the fruit and adds another dimension of flavor. This is an amazingly light, moist cake that is only made more irresistible by a thick, sugary crust that holds the plump cherries and peaches firmly in place. After one mouthful, you'll wish it rained every day. PS--Witty Nuria just reminded me of that great 1974 song "It Never Rains in Southern California." It's an ideal match for my post, so I'm sending it to Elly for her fun Eat to the Beat event that runs through June. Make sure you watch this Albert Hammond You Tube video--it's worth it just to see his bell-bottoms and Bee-Gee's permed hair. Yikes. In Dubai too, when it rains - a very rare occassion, the traffic is bad. I can echo what you say about Californians :) The cake looks lovely, more so coz I love cherries! I love upside-down cakes! Yours looks fabulous and gorgeously delicious! LOL @ San Diegans leaving early because of rain! It's true Susan...you describe it well...the falling rain on the windows as the cake bakes gently and the aroma wafts through the entire house. Your summer version of this fall cake is delicious. Great use of stone fruits. Wish it were raining here Susan...I can smell this wonderful cake! Have never tried an upside down cake...the last time I topped the cake with fruit, the son almost passed out. Insisted I box the whole thing & send it to the neighbours!! LOL...but this is one I HAVE to try. I'd bookmarked the other cherry post with the cinnamon-choc mousse for an indulgent dessert a while ago too! YUM! This looks really lovely and fruity Susan! You must have such great fruit available with all that sunshine. It did make me laugh, thinking of all those people dashing home from work because it *might* rain! Hahaha, leaving early because of RAIN! Too funny. At least you can laugh about it :). This cake looks soooo good! I'm in Seattle and take it from me, the rain brings havoc and chaos to the roads. As if it doesn't rain all winter. But it never fails to trip up most drivers here. Great looking cake! I love the delicious smell when we bake. Ha! I am from Seattle, and I totally know what you are talking about. We still have not gotten a grasp on driving in the rain. Anyway, I am so excited for peach and cherry season! This cake sums it all up. ♪It seems never rain in Southern, California♫ Loved that song! Hey Susan, it's raining a lot here, why don't you come and bake one of these wonderful cakes for me? Pleaseeeeeee? Delicious susan...and it does look so light! If you want to see what rain is, you should come visit Scotland! what a beautiful cake, Susan. And a good way to use up some of the bouty summer brings. I need to keep my eyes open for cherries from now on. Man, I am running out of ink---again! But, I got it... I love peaches; probably my favorite fruit; this cake looks soooo good Susan! You're making me hungry AND homesick. I'll never forget when I was producing the 5PM newscast in San Diego. It was a cloudy day with a little "spit" from the sky. I didn't even need to turn my windshield wipers on to deal with the precip. Ergo, I lead the newscast with something important. In the post-show meeting, I got my rear end handed to me for not leading with The Storm. "You've got to stop thinking like a Midwesterner, Kelly!" Still makes me smile ruefully. Beautiful - like a slice of a summer orchard! 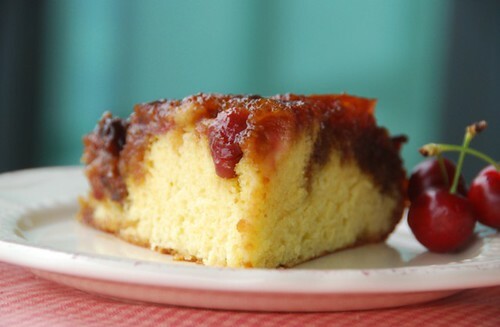 You can't beat upside down cake, rain or shine! 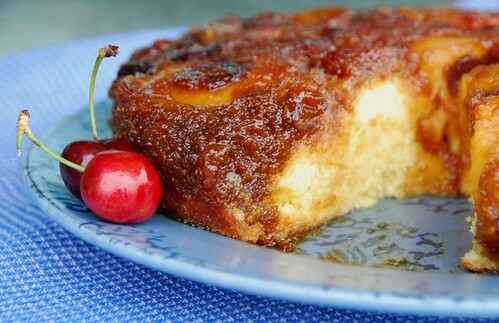 I won't mind having a piece (or a whole) of your upside down cake even on hot rainless California days:)Looks gorgeous! I'm giggling right now (not unusual since your humorous posts always hit home : ) ). I made the reverse transition - Phoenix to Connecticut - and I recall many (many) an occasion whereby the teensiest bit of rain sent people into a panic. 20 MPH down the highway in a light drizzle! 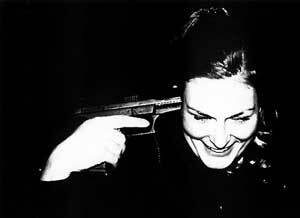 Susan, now that I have started visiting your blog on a regular basis - why did it take me so long!! 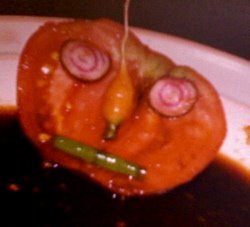 - I'm finding so many top notch recipes that I want to try. Cherries are coming into season and oh, how I love them. My mom used to make a pineapple upside down cake that was heavenly. This sounds just as fine. Thanks! As a Seattle blogger, I am definantly laughing at you. But who cares? This cake looks freakin AMAZING! Wow . Peaches and Cherries. Don't you just love summer fruits! 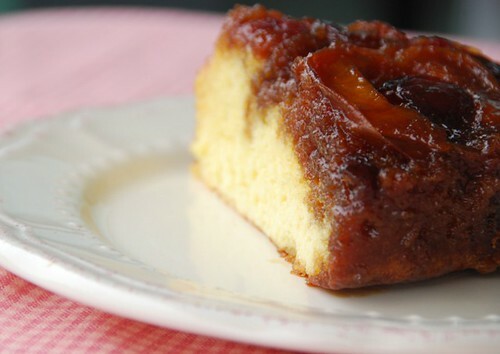 Any kind of upside-down cake is so appealing, perhaps a reminder of that wonderful pineapple upside down cake with the perfect rings of pineapple and a cherry in the center of each. Peach and cherry (real cherries, not the bright red maraschino kind) sounds like a perfect combination. That looks really good! I like the cherry and peach combo! This looks so great, Susan. I am a total sucker for any sort of dessert with cherries. I have been looking forward to cherry season for months and I think a clafouti is in order for me soon. Thanks for the entry! This looks absolutely delicious Susan! I can almost smell it baking from here. 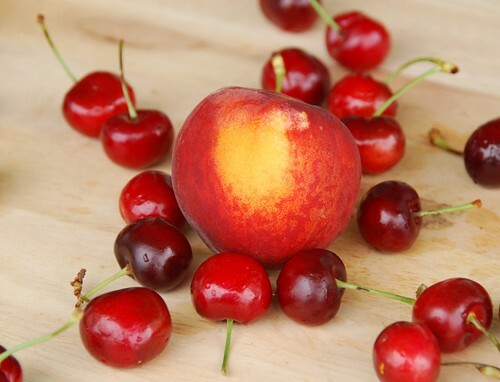 Cherries and peaches go really well together - I'd love a slice of that, rain or sunshine! Its pouring, your kitchen is warm and taken over by the delicious smells from your oven and then the cake itself. Yours looks moist and good. That looks like some seriously delicious cake. Love the fruits you used. Hee hee- I remember giggling at Californians' reactions to rain, even when it was a few inches! But I realized that all the oil on the roads actually does make a couple of inches of rain a real driving hazard! Anyway... I would love to try my hand at this cake of yours- as soon as I see some fresh cherries! Daiku and I are committed to going cherry picking in July. Oh I love to bake on rainy days - it's the best. I have NEVER made an upside-down cake.... shame on me! I love upside down cakes. It looks fab. Can I have a bite dear,I haven't tasted an upside down cake.this cake looks delicious..
jyothsna-I didn't realize it rains so infrequently in Dubai. peter-Thanks for the lovely words. deeba- He'll love this. The fruit is nestled in that sugary crust that is irresistible! vb-Even in Seattle? I'm surprised. happy cook-The aroma is incredible. anticiplate-You're the 2nd person from Seattle to say that. That's so surprising. nuria-I can't get this song out of my head, so I'm gonna send this to Elly for her Eat to the Beat event! Thanks! mandy-They're in full swing here, and I can't get enough! medena-Ripe summer peaches are divine. kelly-That is such a gem of a story, Kelly. Thanks for sharing! farida-It's good no matter the weather. lisa-I really appreciate that. Moms and pineapple upside-down cakes just go together, don't they? nabeela-That is so kind of you to think of me. I didn't know that. I love sunchokes, but I don't eat kohlrabi often enough. lydia-They really are beautiful together. aparna-I just love the aroma in the house. amy-Please make one! Your kids will love you for it! sue-How are you? Many thanks! Susan- you are so right. My hubby is an East Coaster and he is so frustrated when San Diegans freak out because of rain. Gorgeous both in looks and how it sounds like it would taste. You can't go wrong with cherries.. ever! But seriously, this cake sounds like it would stave off my worst rainy day blues!! It's just so...sunny and happy! :-) And I love the look of those ripe, lush-lookin' cherries! Here people behave like we have to be on locked down with three drops so everybody and their brothers live work and go to the store!! I love the peach and cherry combo in this cake. Well done! This is lovely. Hope that the cherries will be cheaper soon to try this. Looks so good. What a great combination. That cake looks delciious! And I love your blog! Did you get the fruit from a farmer's market? I work for Smit Orchards--the fruit looks like ours! cakespy-No wonder why you bake so many lovely treats--you never the your house! ;) I hope you try it soon. ivy-They will be, I'm sure. jaime-It was my first time with this combo but it won't be my last. lindsay-Smit Orchards doesn't sound familiar. Where do you sell your fruit though? Maybe we have met? 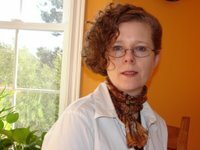 I'm new to the food blogging scene and always love what I find your blog! When I saw this cake, I just had to try it! It was so delicious (though mine wasn't as pretty as yours!) and such a great, light summer dessert!